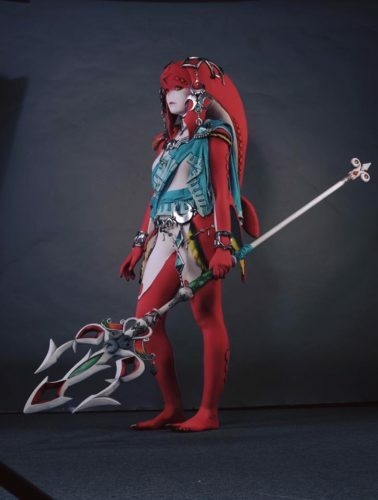 She spent about six weeks crafting her Mipha costume, and as with any Zora build, she said making the head was the trickiest part. It took a long time to shape. To make Mipha's head, she used soft foam mattress material and added it in layers until she got the size right. Then she covered the head with fabric. She shared a tutorial on her website. Scroll below to see more photos of the completed costume. 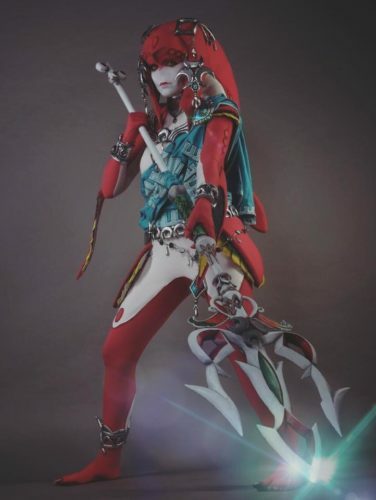 Then, check out more of Lara's work--including her amazing Twilight Princess Zora cosplay--at her Facebook page or at Instagram. Dress up with more cosplay! See an awesome grandma cosplay Game of Thrones' Olenna Tyrell. Meet an epic Wonder Woman cosplay group. Get scared by a Twilight Zone photo shoot.